The following page is yet another record proving the Japanese Government (Meiji) considered Dokdo Island as part of Chosun (Korea). Dokdo Island is sometimes called Liancourt Rocks by western nations and Takeshima by Japan. 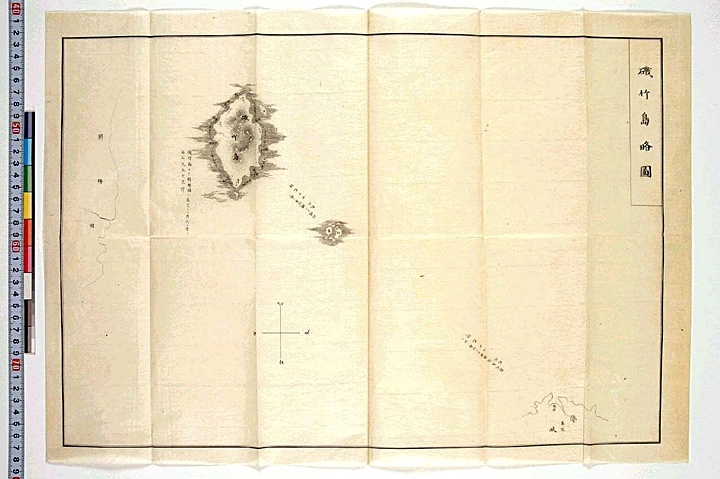 Most websites regarding the Dokdo dispute include the 1870 Secret Mission Report about how Ulleungdo and Dokdo became Chosun’s possessions. However, most of them post only the relevant passage shown below. But the report was more than just proof the Ulleungdo and Dokdo were the possessions of Chosun. This secret report and its motivation for being instigated, gives us an inside look into the real intentions of the Japanese government during Chosun’s Opening of Ports Era. 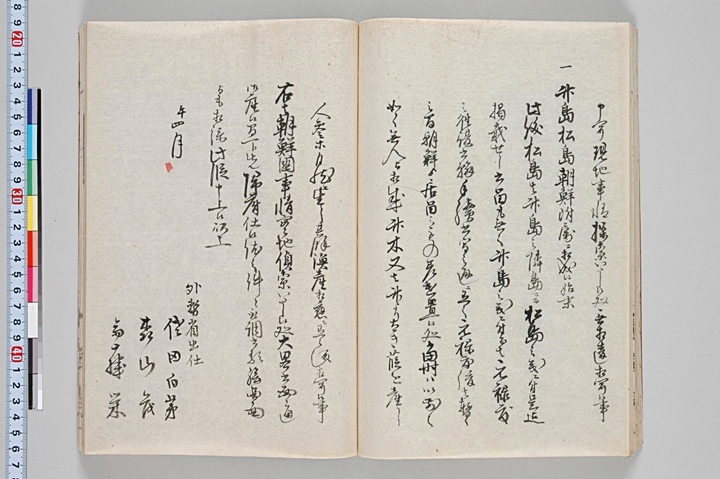 Top left: An image of the original Kanji script form of the ‘Secret Report on Chosun’ Top right; The text form of the report clearly shows the passage 竹島松島朝鮮附屬 translated this means “How Ulleungdo and Dokdo became Chosun’s Possessions.” It then gives a brief historical overview of the islands. During the formative years of the Meiji Government Japan actively began to develop new diplomatic relations with Chosun. This first diplomatic mission included Moriyama Sigeru, Sada Hakubo and Saito Ei. This mission was to gather information for a few purposes such as 1. Finding out why the relationship between Japan and Chosun has deteriorated 2. Discontinue Tsushima’s payment of tributes to Chosun. 3. Investigate Chosun’s relationship with China. 4. Sending warships to Busan when the emperor dispatches his emissary to Chosun. 5. Find out if Chosun is being influenced by shrewd Russian diplomats. 6. Find out the strengths and weaknesses of the Chosun’s weaponry and navy. 7. Verify intelligence concerning the political situation of the Korean king and members of the Chosun court. 8. Potential trade with Chosun. 9. Investigate the customs and systems of Chosun. 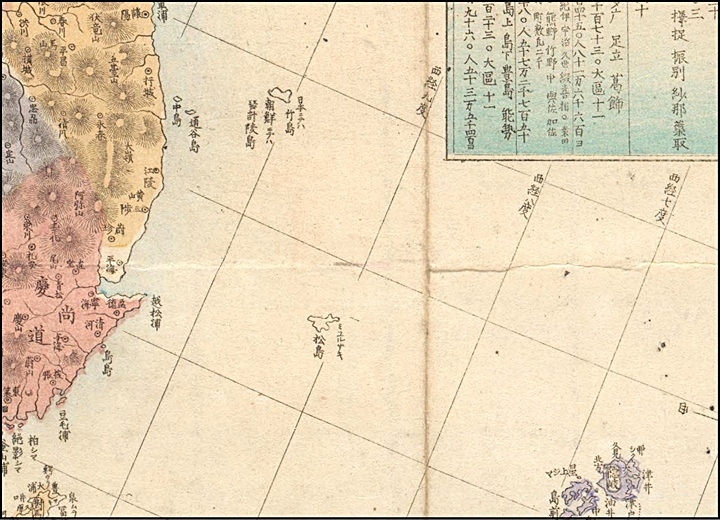 Above left: A closeup picture of Ulleungdo (竹島) and Dokdo (松島) This is a typical Japanese map of the mid-19th Century showing the islands as they had for over a century prior to the 1870 Report on Chosun. It is interesting that these instructions indicate the ambition and assertiveness of the Japanese politicians of the day. We can see the report is made from an unfriendly point of view. So what did the study mission report to the Foreign Ministry? The officials stayed in Korea from February 22, 1870 through early March and made their report in April. First the report states that Chosun does not maintain a tributary relationship with Japan. Second, Tsushima is apparently a vassal in the Korean system and has received copper seals (tosa, tosho) from Korea. Third regarding the question of China the Japanese mission reports that Chosun is operating independently of China. At the end of the report there is a detailed history of the regarding possession of Ulleungdo and Dokdo by Chosun it states. In addition, this report contained detailed plans for an attack on Chosun. The instructions called for an elaborate invasion of 30 battalions with the main force to land on Kangwha Island and to strike directly at Seoul. Subsiduary forces were to move South through the provinces of Kyongsan, Cholla and Chungchong and North through Hamyong, Pyongan and Hwanghae. Once these forces converged on Seoul, the Korean government was sure to collapse if the Chinese were to intervene the Japanese forces could handle them easily. The whole operation Sada Hokubo concluded would take about 50 days. This document foreshadows the Japanese attack on Kangwha Island on September 20, 1875. The intrusion would set the wheels in motion for a series of unfair treaties and the gradual occupation of Korea. The only issue of contention is the identity of Matsushima (松島). Japanese lobbyists insist the Matsushima in this record is a different island. 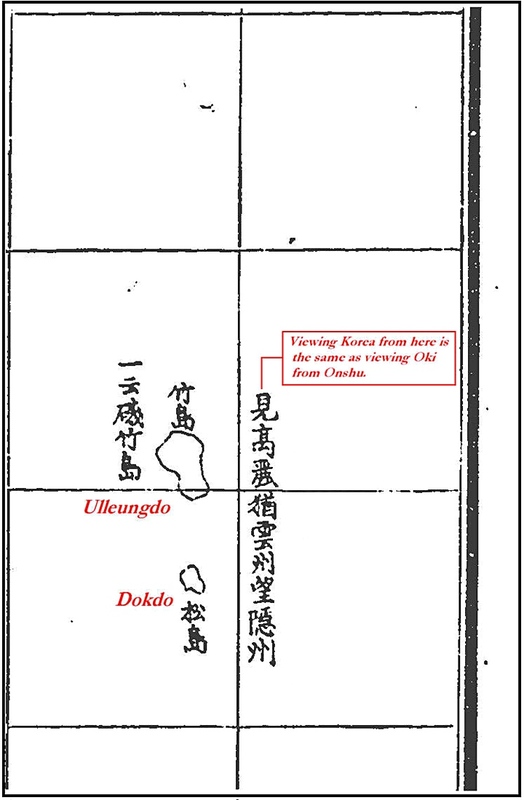 The 1870 report mentions that Matsushima was a neighbour island (隣島) of Ulleungdo. Was there another island near Ulleungdo refered to Matsushima (松島)? When we cite maps of the era, the Japanese “interpretation” of this important document can be dismissed as false. Were the Japanese talking about a different Matsushima (松島) in this report, or did they continue to use the same name for Dokdo Island as they had for 200 years prior? The Japanese maps of the East Sea (Sea of Japan) and Ulleungdo, clarify this disagreement. 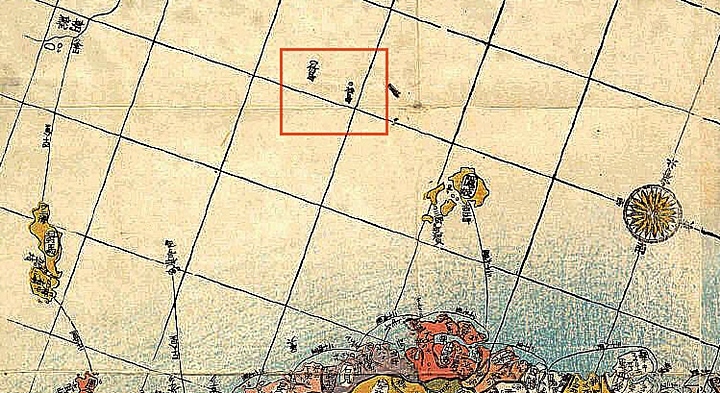 The map to the right of this text was drawn by Kashihara Yoshinaga in 1876 and is typical of Japanese maps of the East Sea (Sea of Japan) showing both Ulleungdo (竹島) and Dokdo (松島). As with all Japanese national maps, the shape of Dokdo (松島) is incorrect. 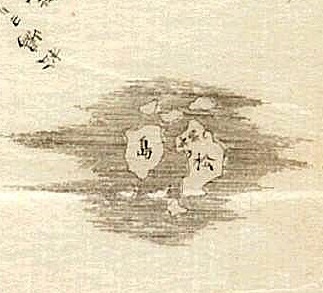 No Japanese maps, aside from the private charts drawn by the Murakawa or Oya fishing clans depicted Dokdo in its correct two islet form, but rather vaguely traced an outline based on preceding maps. At the same time of the 1870 Report on Chosun, a study of Ulleungdo Island (referred to as Takeshima 竹島) was published and went into great detail about Korea’s Ulleungdo and the surrounding waters. 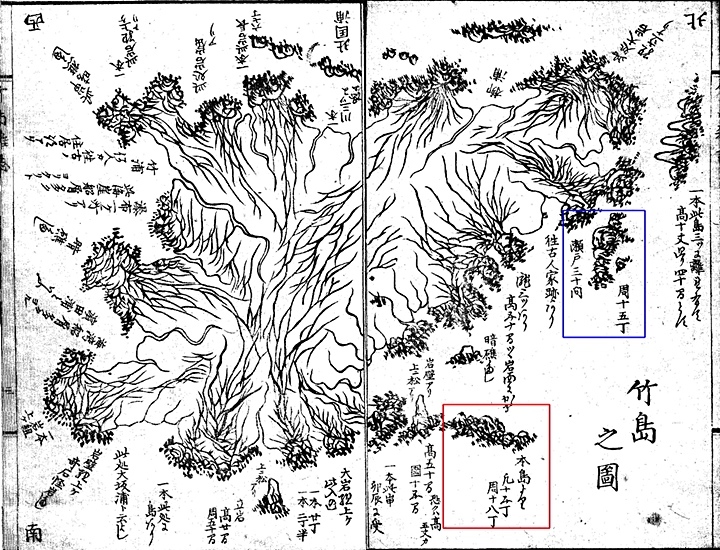 Both the maps and description of Matsushima are consistent with Dokdo Island. This record excludes the possibility Matsushima – 松島 was one of Ulleungdo’s surrounding minor rocks, such as tiny Jukdo Islet located 2.2kms northeast of Ulleungdo. 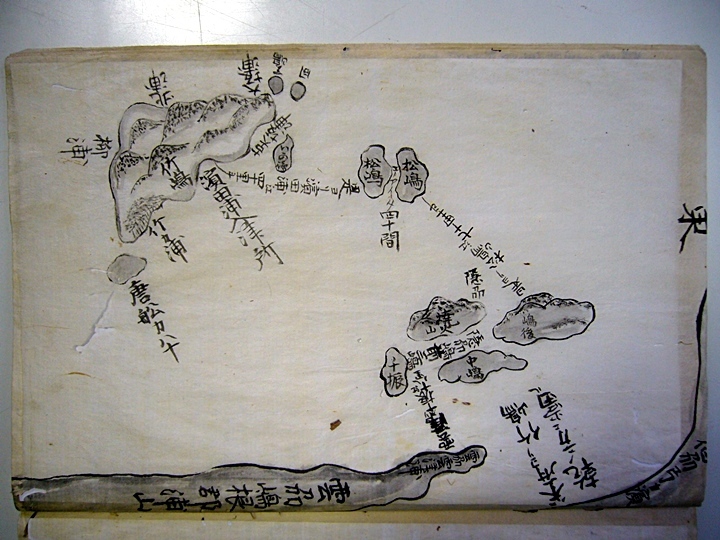 The maps included with this report show both Ulleungdo’s neighbouring rocks and islets as well as a larger map of the East Sea (Sea of Japan) To further confirm the islands’ identity Saito Hosen’s 1667 quote “見高麗如雲州望-州” is drawn next to Ulleungdo and Dokdo. Take notice that this map is strangely oriented with West to the top of the page and East at the bottom. Thus, South and North are drawn left to right. As mentioned, included within the report on Ulleungdo was a highly detailed map of Ulleungdo itself. This map of Ulleungdo can be seen to the left. The island is drawn askew with North and South being positioned diagonally. Notice how Ulleungdo is labelled as Takeshima (竹島) on the bottom right. Looking closely, all of Ulleungdo’s surrounding rocks and minor islets are included. Some rocks such as Chotdae Rock, Three Angels Rocks, Bukjeo Rock and Seal Point can all be located on this detailed map. 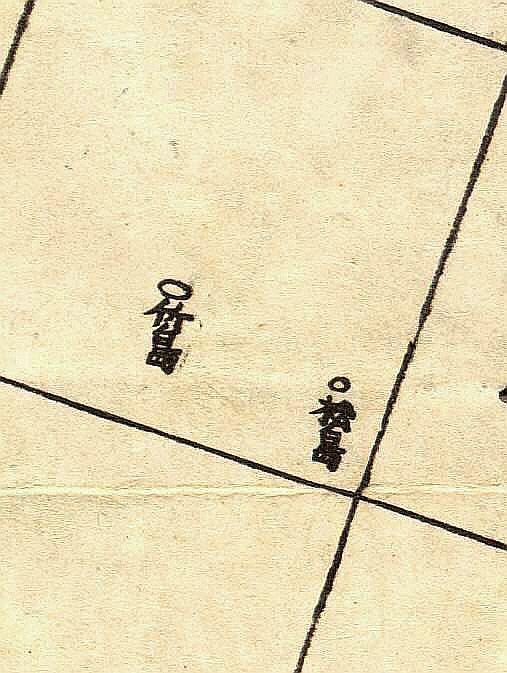 However, nowhere within this map is there any adjacent islet named Matsushima. Only on the overall map of the East Sea is there an island referred to as Matsushima. This of course, would be Dokdo Island. Pooling all of the related data, how some Japanese can maintain the position Matsushima was different island other than Dokdo remains a mystery. There doesn’t seem to be one piece of historical data to support this theory. More than likely this theory is an excuse to disregard a critical piece of historical data that essentially amounts to a “stake in the heart” for Japan’s MOFA’s claims of historical ownership over Dokdo Island. If we expand these charts to their largest size, it becomes apparent Ulleungdo Island has some neighbout islets drawn vaguely around the main island. Most notably, Jukdo Islet is depicted on Ulleungdo’s northeast shore. However, this island is not marked as Matsushima but rather Igashima or Squid Island. Many Japanese fishing records describe Ulleungdo’s Jukdo Islet as Igashima thus ruling out the possibility Jukdo Islet was the “Matsushima (松島)” of Japan’s 1870 Report on Chosun. The map to follow is important for a few reasons. First it records the illicit voyages of Japanese fishermen onto Chosun land originating from Yonago City. Ulleungdo and Dokdo are drawn in correct form and name. This chart correctly depicts Dokdo Island as two islets en route to Korea’s Ulleungdo Island. The 1870 Report on Chosun strongly damages Japan’s claim to Dokdo despite flimsy attempts by Takeshima lobbyists to dismiss this clear evidence of Japanese acquiesence of the island. 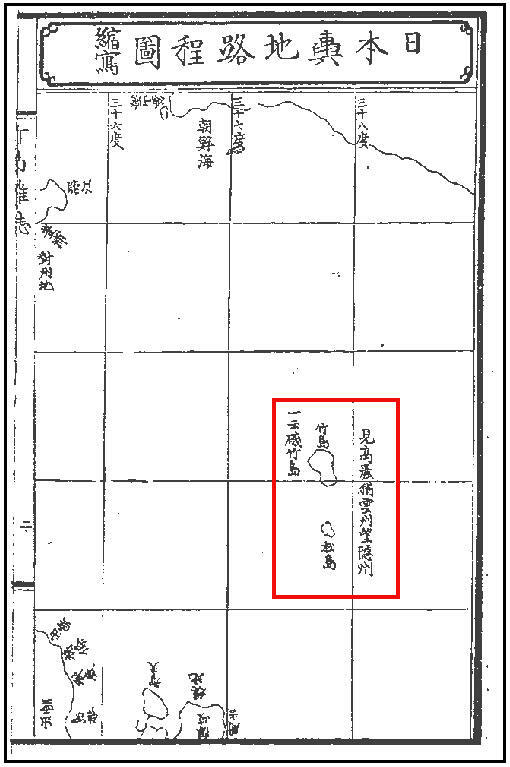 There is no evidence to support Japanese claims that the Foreign Ministry was referencing incorrect maps or was referring to another fictitious Matsushima when they issued this report.